The American Plan, sometimes abbreviated as AP in listings, means that the nightly rate quoted by a hotel or resort includes three meals a day, i.e. breakfast, lunch, and dinner. In the American plan, the meals are provided by the establishment's kitchen and served on site, typically in the dining room. Some hotels offer guests the option of being on the American plan or paying à la carte for the food consumed in their facility. Travelers choosing a hotel in a remote location where there are few restaurants — or none at all — are advised to stay at a hotel that offers an American plan. Cruise ships are one place you can always count on having an American Plan, since you can't exactly take a walk around the corner if you don't like the fare. Meals at the buffet and main dining room are included in the price of the cruise. 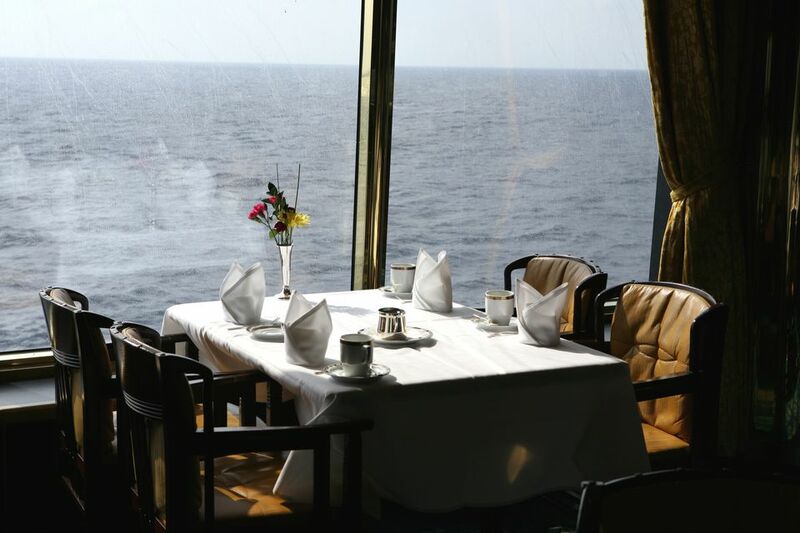 However, several cruise companies have found a way to induce passengers to spend more by eating in their specialty dining venues that charge a fee. These include the mediocre sushi restaurant aboard Anthem of the Seas, the inventive Qsine restaurant aboard Celebrity Cruises, and the elegant Pinnacle Grills aboard Holland America ships. The American Plan is not the same as an All-inclusive Plan. The latter includes snacks and alcoholic beverages that are available throughout the day in addition to the three squares. If you are on the American Plan and tend to get hungry between meals, bring some fruit from breakfast back to your room or visit a local market for reinforcements. In Europe and some other places around the world, the American Plan is referred to as Full Pension or Full Board. Tips may or may not be included under the plan. Be sure to inquire so that you can factor them into your budget if they are an additional cost. Even if they are not, it's good form to reward a waiter who works hard and pleases you. What are the Advantages of the American Plan? It's easier to budget for a honeymoon or romantic getaway. Knowing in advance what your vacation will cost can help you to stay within your means. You can spend more time touring. And less worrying about where your next meal is coming from. Breakfast will be waiting for you. In some hotels, breakfast is buffet style and all-you-can eat. On cruise ship, expect a bounty of food and a wide variety from pancakes to bagels with smoked salmon. Free-standing hotels may not be as generous with their offerings. Drinks with dinner. Normally beverages, including coffee, soda, beer, and wine are included with meals. At other times of the day, you may have to pay for them. On major cruise lines, passengers can buy a drink card that makes non-included beverages more affordable. What are the Disadvantages of the American Plan? It's not for foodies. The quality of food under an American plan can vary widely. If researching, visiting and experiencing the cuisine in highly rated local restaurants is part of the thrill of travel for the two of you, it's likely that you may find the fare offered under an American Plan mediocre. It's not for people with small appetites. If you normally skip breakfast or lunch, you may not appreciate having to pay for three meals a day. Also, if you leave early for a tour or are out on an activity when lunch is served, you may be starving by the next meal time. You may not like the menu or the food itself. Some places offer a table d'hote fixed lunch and/or dinner menu that doesn't allow for substitutions or offer alternative dishes. You may have to dine on their schedule, not yours. Although cruise lines are increasingly flexible in accommodating passengers' requests, hotels and resorts may not be quite so much. Reservations may be required. Even if you're booked in a hotel with the American Plan, the on-site restaurant (especially if it's a popular one) may expect you to pre-book times for your meals.